The 1.2V AA 3200 mAh Mex Cell NiMH batteries are a clear example of a Chinese manufacturer labeling rechargeable NiMH batteries with higher capacity then they actually are. These batteries are supposed to be 3200 mAh, however they are being sold at a price of NiMHs with half that capacity, so this is supposed to raise some suspicion. So when you see batteries with very high capacity that are suspiciously cheap and from a brand that you’ve never head of, then you should be careful. Anyway, lets us see what is the actual capacity of these batteries and what current they can handle. 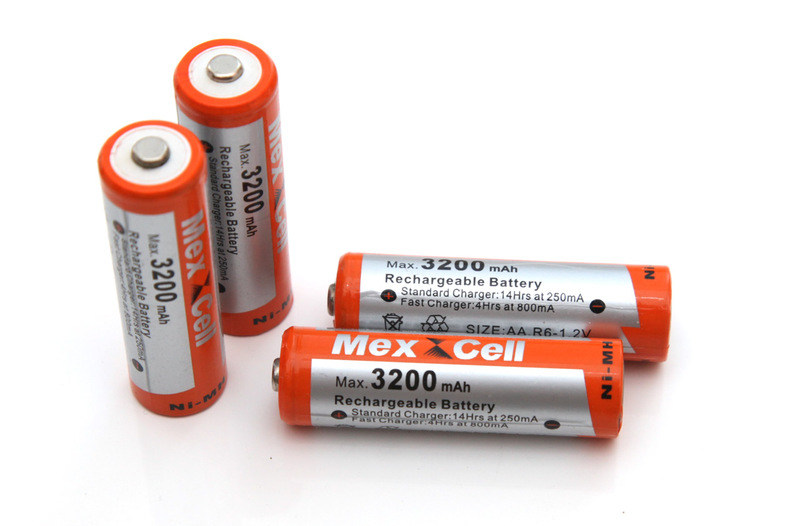 The maximum capacity we’ve got from the 1.2V AA 3200 mAh Mex Cell NiMH batteries at the minimum constant discharge rate of 0.2A we are using for testing NiMH batteries was 1486 mAh or more than twice less capacity than the batteries are supposed to provide. The only good thing here is that the batteries are handling pretty well with a current load of up to 1A, but going for 2 amps current draw and the voltage quickly drops below the 1V cutoff that we are using. Definitely not worth buying these batteries as they are not delivering the promised capacity, not even half of it, they are actually something close to 1500 mAh and even though they are cheap, you will most likely get a better quality 1500-1600 mAh batteries for the same price. Be careful with unknown brands promising very high capacity battery at way too attractive price!